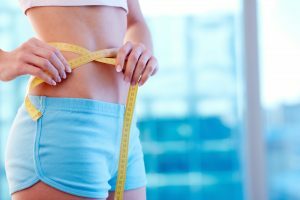 Home/Blog / What Are the Risks and/or Side Effects of Liposuction? Liposuction is a popular plastic surgery procedure ideally used in the treatment of localized fat deposits in various areas of the body but which is also used at times by some for generalized fat removal. When appropriately performed by highly trained and experienced board-certified plastic surgeons, this body sculpting procedure has a very low risk for major complications. That being said, like any surgical operation, there is potential for certain problems and untoward outcomes to occur so it is quite important that one fully comprehends all aspects of liposuction prior to proceeding. The side effects most frequently experienced by patients include some degree of swelling, soreness, bruising and/or numbness in the targeted region(s). These symptoms are usually temporary and generally resolve over time. Some of the more common or significant risks of liposuction (when they do occur) include infection, bleeding, hematoma, seroma (accumulation of fluid deep into the skin), over or under correction of the treated sites, contour irregularities, need for additional liposuction at a later date, wide or thick scars and clots in the leg or lung (these latter two are very rare). Many of these occur less frequently or to a lesser degree when performed by a very experienced plastic surgeon. Certain individuals are not good candidates for liposuction so either they should expect limited results or should not have the procedure at all. This can include those who are in generally poor health, have uncontrolled major medical problems, have bleeding or blood clotting disorders or who are morbidly obese. Major risks are also substantially elevated when surgery is performed by an inexperienced and/or unqualified medical professional (or even worse, a lay person posing as a cosmetic surgeon) and when it is conducted in a substandard (non-accredited) facility that is also likely not equipped to deal with any major medical or surgical issue that might occur. In summary, when liposuction is performed by highly trained, experienced and skilled board-certified plastic surgeon, the results can be quite pleasing and the risks for problems relatively low.